Peter Marino designed luxury jewelry company Bulgari’s new flagship boutique in London with its Mediterranean identity and Italian architectural modernism in mind. 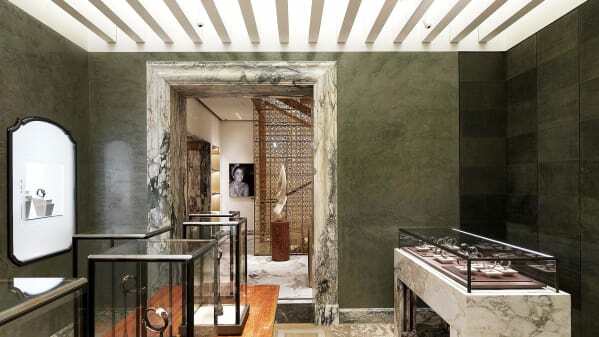 Patterns throughout the store were inspired by the Bulgari logo, the Pantheon, and the roads of ancient Rome. A grand staircase gives the appearance of symmetry, and the store is finished with Italian marble and walnut wood paneling.